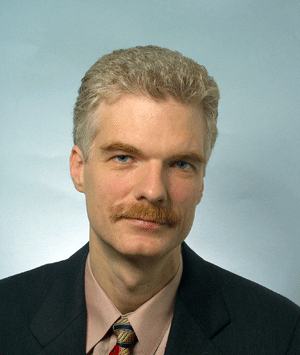 I recently had a chance to ask the OECD's Andreas Schleicher, an expert on educational systems around the world, what he makes of the current push for reform in American public education. Q: The PISA results make clear that U.S. students aren't performing particularly well compared to their peers in many other countries. What do you think are the most compelling reasons for this poor performance? A: This is always hard to establish. The most frequently cited explanations -- social disadvantage, poverty, immigration -- do not stand up to scientific scrutiny. You will find my best take towards an explanation in Chapter 11 of our report "Strong Performers and Successful Reformers in Education: Lessons from PISA for the United States." Q: Imagine U.S. President Barack Obama or Education Secretary Arne Duncan asked you for two or three recommendations that would help the U.S. radically transform -- and improve -- its educational system. What recommendations might you give them? A: Some of the things very high on my list have already been dealt with, such as the establishment of far more rigorous, universal and internationally benchmarked educational standards. The challenge here will be policy implementation, making sure that the common core standards translate into instructional systems, instructional practices and student learning -- intended, implemented and achieved -- and that they begin to count for students, teachers and schools. If you look at the highest-performing systems, you see that everyone knows what is required to get a given qualification, both in terms of the content studied and the level of performance needed to earn it. Students cannot go on to the next stage -- be it in work or in further education -- unless they show that they are qualified to do so. They know what they have to do to realize their dream, and they put in the work that is needed to do it. In other areas, the U.S. needs, in my view, to make significantly more headway, particularly when it comes to teachers and school principals. Put simply, the quality of an education system cannot exceed the quality of its teachers and principals, and the quality of teachers cannot exceed the quality of teacher selection, teacher development and teacher evaluation. Just like companies, high-quality school systems pay attention to how they select and train their staff. They watch how they improve the performance of those who are struggling; how they structure teachers' pay packets; and how they reward their best teachers. They provide an environment in which teachers work together to frame good practice. That is where teachers conduct field-based research to confirm or disprove the approaches they develop, and they judge their colleagues by the degree to which they use these practices in their classrooms. What the U.S. misses, in my view, is substantial professional autonomy among teachers within a collaborative culture. An impressive outcome of world-class education systems is perhaps that they deliver high-quality learning consistently across the entire education system so that every student benefits from excellent learning opportunities. To achieve this, they invest educational resources where they can make most of a difference, they attract the most talented teachers into the most challenging classrooms, and they establish effective spending choices that prioritize the quality of teachers. Shanghai in China is a great example of this. The U.S. is one of the few systems where you see just the reverse. Of course, you can make this list much longer, but I think these are three key areas, and ones in which federal policies can make a huge difference. Q: What's your take on the American accountability system in public education? A: In short, in my view the U.S. needs to strike a different balance between vertical and lateral accountability. Let me explain this. When you could still assume that what you learn in school would last for a lifetime, teaching content and routine cognitive skills was at the center of education. Today, where you can access content on Google, where routine cognitive skills are being digitized or outsourced, and where jobs are changing rapidly, education systems need to enable people to become lifelong learners, to manage complex ways of thinking and complex ways of working that computers can't take over easily. That requires a very different caliber of teachers. When teaching was about explaining prefabricated content, you could tolerate low teacher quality. And when teacher quality was low, governments tended to tell their teachers exactly what to do and exactly how they wanted it done, using prescriptive methods of administrative control and vertical systems of accountability. What you see in the most advanced systems now is that they have made teaching a profession of high-level knowledge workers, and that --not higher salaries -- is what makes teaching so attractive in countries as different as Finland, Japan and Singapore. But the issue is that people who see themselves as candidates for the profession are not attracted by schools organized like an assembly line, with teachers working as interchangeable widgets. You therefore see a very different work organization in high-performing systems, with the status, professional autonomy, and high-quality education that go with professional work, with effective systems of teacher evaluation and with differentiated career paths for teachers. By implication, you see much more investment in helping teachers look outward to the next teacher, the next school, than just looking upwards to the next level in the bureaucracy. But, on the positive side, Race to the Top has introduced a major culture change in this respect, another initiative of the federal government that I think has been very powerful. Q: Do you think investing heavily in small classes -- as the U.S. has done in the last 15 years -- is a smart move? Why or why not? A: Everything else equal, smaller classes are obviously better than larger classes. But that is not a meaningful question. You can spend your money only once and that means you need to make trade-offs between better salaries, more professional development, longer student-learning days, more individualized learning opportunities and smaller classes. If you look at it that way, you see that most high-performing education systems have made very different spending choices than the U.S., and they have generally favored better teachers over smaller classes. Q: You speak five languages: German, English, Italian, French and Spanish. How did that come about? And what's your sense of why so few Americans speak multiple languages? How would you sell the importance of foreign-language learning to a skeptical U.S. audience? A: Actually, my French and Spanish are still quite limited. I guess selling foreign languages to an English-speaking country is hard. Why would you learn another language when everyone else speaks yours?